Brace yourself as Mini Tin Pail ~ White is seriously cute! These have so many uses. Use as favours for weddings, baby showers and birthday parties, or decorate your table with these mini pails filled with plants or other decorations. These are a great option for wedding centrepieces or place names. 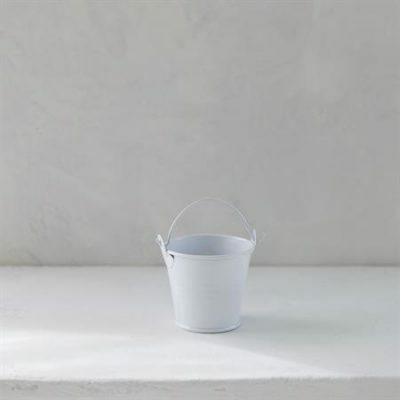 Fill the Mini Tin Pail ~ White with candy (imagine jelly beans or M&Ms! ), nuts, confetti, rose petals, shells, candles, flowers and small plants. 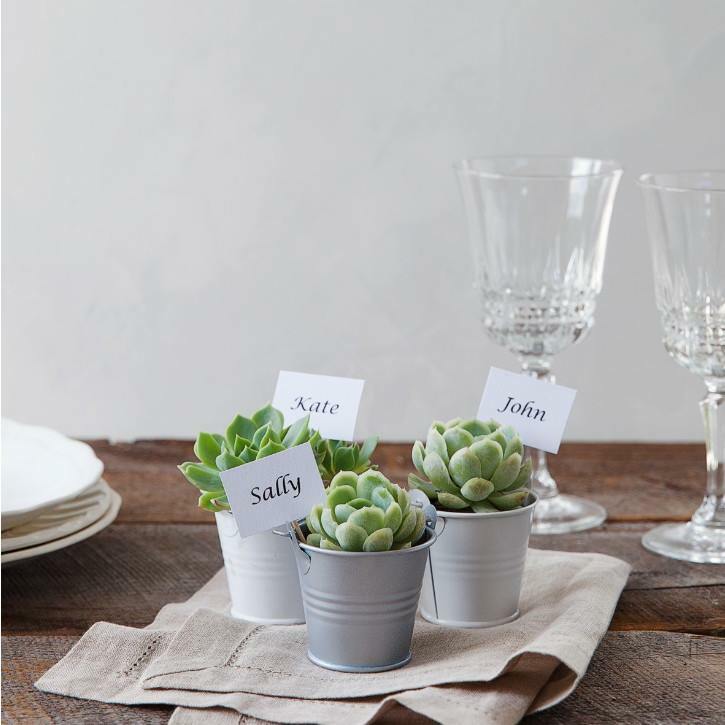 They look amazing with succulents as place names or table decorations. Fill with sand or shells for a beach or mermaid party. The options are endless. Each pail measure 5.5 cm tall x 6 cm opening diameter. Mix and match with our Mini Tin Pail ~ Silver.